MCLEAN, Va., April 7, 2011 -- Northrop Grumman Corporation (NYSE:NOC), presenting sponsor of the Air Force Association's (AFA) CyberPatriot program, presented $54,000 in scholarships to 36 students on the winning teams of the CyberPatriot National Finals Competition, further enabling the nation's next generation of cyber defenders to take the next step in their education. 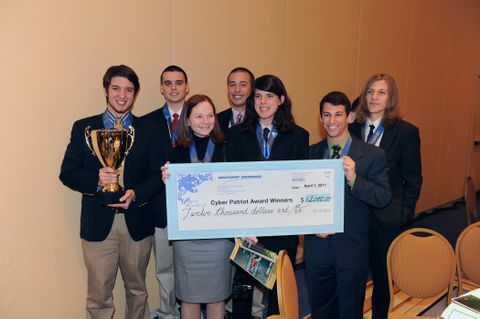 The CyberPatriot National Finals Competition was held outside Washington, D.C. on April 1. 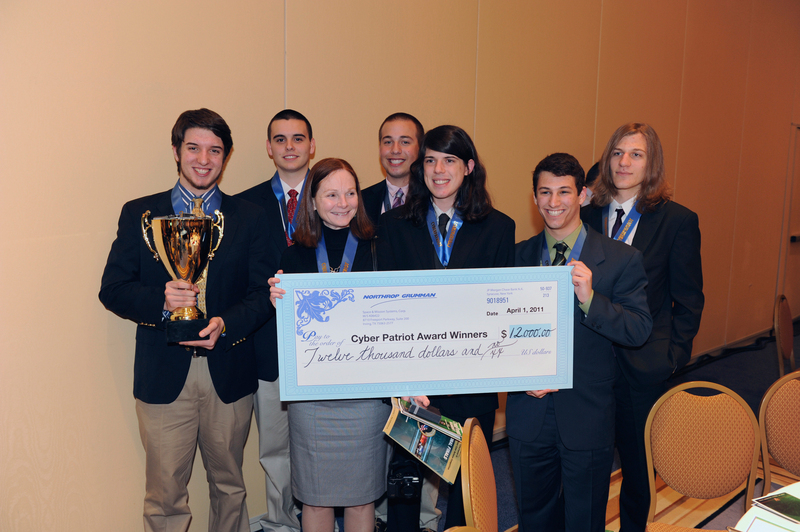 The AFA's CyberPatriot is the largest high school cyber defense competition and is designed to excite, educate and motivate students toward careers in cybersecurity. "We congratulate all the students who participated in the CyberPatriot program and hope that each of them gained an appreciation for the challenges of cybersecurity and a desire to pursue a career in cyber defense," said Linda Mills, corporate vice president and president, Northrop Grumman Information Systems. "We are delighted to provide these scholarships to help them to continue their cyber education." The final competition brought 17 teams from around the country together to compete in two different divisions. The All Service Division included students from Junior Reserve Officer Training Corps (JROTC) and Civil Air Patrol (CAP) programs. The Open Division was made up of non-military affiliated high school teams. The winners of the CyberPatriot National Finals Competition from the All Service Division were: first place, the Orlando CAP squadron, Orlando, Fla.; second place, Buena High School Army JROTC, Sierra Vista, Ariz.; and third place, Clearfield High School Air Force JROTC, Clearfield, Utah. The Open Division winners were: first place, Red Bank Regional High School, Little Silver, N.J.; second place, Westview High School, San Diego, Calif.; and third place, Alamo Area Academies, San Antonio, Texas. Each student on the winning teams received a portion of the total scholarship amount. First place winners were each awarded $2,000, second place winners received $1,500, and third place winners got $1,000. "Throughout the school year, CyberPatriot has provided students an opportunity not only to showcase their computer skills, but also their leadership, teamwork and critical thinking abilities," said Diane Miller, Northrop Grumman program director, CyberPatriot. "To even make it to the final round of competition, each of the 17 teams had to demonstrate a level of commitment and aptitude beyond their peers. Each of the competitors should be proud of where they have gotten in this competition." As presenting sponsor, Northrop Grumman invested time and resources over the 2010-2011 school year to assist in coaching teams and mentoring students. The company's involvement in CyberPatriot has and will continue to contribute to building a talent base in the cybersecurity field that will ultimately enable the country's future cyber protection. This is the third year of AFA's CyberPatriot competition and the first year it was open to all high school students throughout the country. 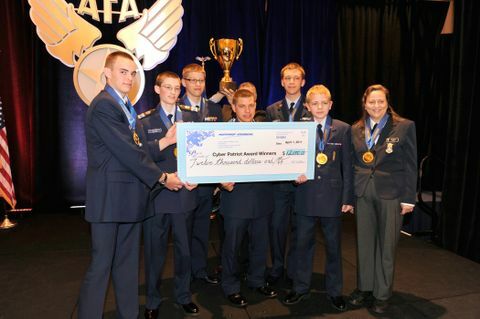 Previous competitions were held only for CAP and Air Force JROTC students. CyberPatriot III, held during the 2010-2011 school year, included 661 teams from 48 states, Guam, Puerto Rico, the U.S. Virgin Islands, Korea and Japan. Competition began in October 2010. Students competed in three virtual competition rounds over four months to qualify for the in-person final competition round. Northrop Grumman is actively engaged in supporting cybersecurity education, training and technology. In addition to sponsoring CyberPatriot, the company recently announced their sponsorship of the Mid-Atlantic Collegiate Cyber Defense Competition. Northrop Grumman also formed a Cybersecurity Research Consortium, an industry/academia partnership addressing the cybersecurity challenges of the future. Last November, the company partnered with the University of Maryland Baltimore County Research Park Corporation to create a pipeline for new cybersecurity technologies. Northrop Grumman has also launched its own Cyber Academy to promote professional training and development and attract top-level talent. For more information on Northrop Grumman in cybersecurity, go to www.northropgrumman.com/cybersecurity .